A Jefferson man was sentenced to probation for an October incident. 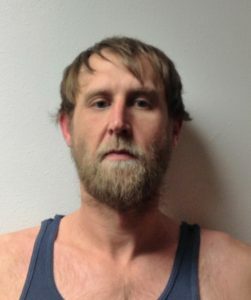 According to court documents, 35-year-old James Michael Lefeber pled guilty to an amended charge of a Class D Felony for third degree burglary. He had his five-year prison sentence suspended and was placed on probation with the Department of Correctional Services for three years. The charge stems from an October 5, 2017 incident. Lefeber broke into the female victim’s apartment through a broken window. Lefeber’s fingerprint was found on one of the pieces of the broken window. As per the plea agreement, the State agreed to dismiss the other charges in the case. We’ve previously reported that Lefeber was originally charged with felonies for first degree burglary and sexual abuse assault. Lefeber was also ordered to pay over $1,000 in fines, surcharges, victim restitution and court costs. He will also undergo a substance abuse evaluation as part of his probation sentence.